The paradox of modern neuroscience is that the one reality you can't describe as it is presently conceived is the only reality we'll ever know, which is the subjective first person view of things. Even if you can find the circuit of cells that gives rise to that, and you can construct a good causal demonstration that you knock out these circuit of cells, and you create a zombie; even if you do that... and I know Dennett could dismantle this argument very, very quickly ... there's still a mystery that persists, and this is the old brain-body, mind-body problem, and we don't simply feel like three pounds of meat. "I always thought of myself as a scientist," says Jonah Lehrer "and then I had the privilege of working for several years in the lab of Eric Kandel as a technician, doing the manual labor of science, and what I discovered there was that I was a terrible scientist. As much as I loved the ideas, I excelled at experimental failure, I found new ways to make experiments not work. I would mess up PCRs, add the wrong buffers, northerns, westerns, southerns. I would make them not work in quite ingenious ways, and I realized slowly, over the course of those years, that the secret to being a great scientist is to love the manual labor of it." But there are many ways to contribute to the conversation that is science, and Lehrer is making important contributions as a writer who has internalized the process of the scientific method in asking interesting questions about ourselves and the world around us. "Neuroscience has contributed so much in just a few decades to how we think about human nature and how we know ourselves," he says. "But how can we take that same rigor, which has made this research so valuable and, at the same time, make it a more realistic representation of what it's actually like to be a human. After all, we're a brain embedded in this larger set of structures." 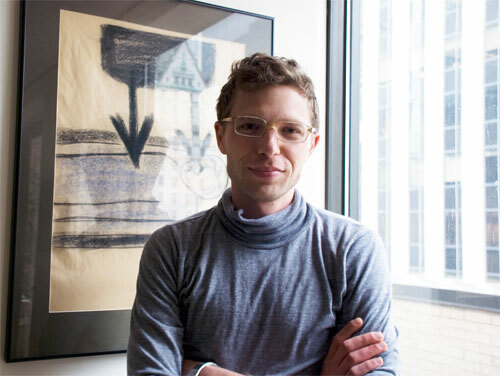 JONAH LEHRER, Contributing Editor at Wired and the author of How We Decide and Proust Was a Neuroscientist, has written for The New Yorker, Nature, Seed, The Washington Post and The Boston Globe. [JONAH LEHRER:] The questions I'm asking myself right now are on a couple different levels. For a long time there's been this necessary drive towards reductionism; towards looking at the brain, these three pounds of gelatinous flesh, as nothing but a loop of kinase enzymes. You're a trillion synaptic connections. Of course, that’s a necessary foundation for trying to understand the mind and the brain, simply trying to decode the wet stuff. And that's essential, and we've made astonishing progress thanks to the work of people like Eric Kandel, who has helped outline the chemistry behind memory and all these other fundamental mental processes. Yet now we're beginning to know enough about the wet stuff, about these three pounds, to see that that's at best only a partial glance, a glimpse of human nature; that we're not just these brains in a vat, but these brains that interact with other brains and we are starting to realize that the fundamental approach we've taken to the mind and the brain, looking at it as this system of ingredients, chemical ingredients, enzymatic pathways, is actually profoundly limited. The question now is, how do you then extrapolate it upwards? How do you take this organ, this piece of meat that runs on 10 watts of electricity, and how do you study it in its actual context, which is that it's not a brain in a vat. It's a brain interacting with other brains. How do you study things like social networks and human interactions? Just think, for instance, about what’s now the hottest method in cognitive neuroscience: The fMRI machine, the brain scan. Think about the fundamental limitation of this machine, which is that it's one person by himself in what's essentially a noisy coffin. So you give him the stimulus. He's going through the experimental task, whatever it is. Choosing whether or not to buy something, doing a visual memory task. Whatever the protocol is, you're in essence looking at a brain in a vacuum. You're looking at a brain by itself, and we don't think enough about how profoundly abstract that is, and what an abstraction that is on the reality we actually inhabit, the reality of being a human and what human nature is all about. The question now, and this is a fascinating question to think about, is how can we take this research, which is so rigorous, and how can we make it more realistic. Neuroscience has contributed so much in just a few decades to how we think about human nature and how we know ourselves. But how can we take that same rigor, which has made this research so valuable and, at the same time, make it a more realistic representation of what it's actually like to be a human. After all, we're a brain embedded in this larger set of structures. You can call it culture, call it society, call it your family, call it your friend, call it whatever it is. It's the stuff that makes people sign onto their Facebook a thousand times a day. It's the reason Twitter exists. We have got all these systems now that really make us fully aware of just how important social interactions are to what it is to be human. The question is, how can we study that? Because that, in essence, is a huge part of what's actually driving these enzymatic pathways in your brain. What's triggering these synaptic transmissions and these squirts of neurotransmitter back and forth is thoughts of other people, what other people say to us, interacting with the world at large. As someone on the fringes of the field, part of the excitement to me is the fact that at this point there still are these different levels of description, and no one quite knows how they all fit together. There's the electrophysiologists with their galvanic needle measuring the individual dopamine neuron, and then there's the person in the brain scan, looking at different circuitry, different blobs of brain lighting up in a brain scanner. Then there's the EEG machine. Even if you're just looking at the wet stuff, even if you're just looking at the meat, there are all these different ways of describing it, and how you ask your questions, the experimental tools you have, in large part drive what kind of questions you can ask and what kind of stuff you're looking for. Even within cognitive neuroscience, there's this tremendous variation in terms of how the brain, how the circuitry, is described. We feel like more than just the sum of a trillion neurons. We feel like more than just three pounds of wet flesh, and so simply describing the brain in terms of its neurotransmitters and neurons and all these chemicals and exciting ingredients doesn't fully grapple with what it feels like to be human, the first person subjective experience of being a conscious being. When you think about the really grand epic questions of neuroscience ... what is consciousness? How can we form a scientific explanation for consciousness, for human experience? That is the holy grail. That question itself necessitates us to think beyond the strict limitations of reductionism, simply because describing the experience as mere squirts of neurotransmitter, oscillations of electricity in the prefrontal cortex, won't, in itself, fully answer the real question, which is how does this meat generate chimeras of experience, chimeras of being a self, in a body. Consciousness is a very tough thing to explain away, because in the end, the paradox of modern neuroscience stems from the constant drive towards the smallest possible fundamental unit you can study, measure and quantify. Let's grant the fact that one day we can find the circuit of neurons that explains conscious experience. You knock out these 10 cells in the prefrontal cortex, generating this binding rhythm, whatever it is. To me, that still begs the real question which is, how does that create the illusion, even if it is just an illusion, as Dennett would say, an epiphenomenon. You still have to explain where the chimera comes from. Where the subjective experience comes from, where the taste of the apple in an apple comes from. The paradox of modern neuroscience is that the one reality you can't describe as it is presently conceived is the only reality we'll ever know, which is the subjective first person view of things. Even if you can find the circuit of cells that gives rise to that, and you can construct a good causal demonstration that you knock out these circuit of cells, and you create a zombie; even if you do that... and I know Dennett could dismantle this argument very, very quickly ... there's still a mystery that persists, and this is the old mind-body problem, but it’s an old problem for a reason: we don't simply feel like three pounds of meat. We don't simply feel like kinase enzymes and synaptic proteins and all that. We feel like this unified self staring out at a world, watching rain fall on Fifth Avenue. It's hard to imagine neuroscience as it's presently conceived ever explaining this mystery in terms of neurons and cells and glials and all the rest. I've talked to enough scientists who thought that LSD would be a great way to study it if it weren't so tough to get it in the lab. Here are these drugs that profoundly and reliably and in ways you can actually measure distort our experience, and you can study what LSD does to serotonin in the prefrontal cortex You can study how it affects dopamine projections from the ventral striatum. I was talking to a scientist last year who studies 'aha' moments. What happens in your brain when you have an epiphany? He was saying it would be great for him to use LSD in the lab, because when you take a hit of acid, you're a eureka machine. You think you've solved the world. You think you've solved the cosmos. You're just writing down notes on cocktail napkins. Not until you wake up in the morning do you realize you wrote down the most banal things ever — in the moment, you're just having one epiphany after another. Wouldn't it be great for him to give people LSD and study what happens in their brain? It turns out that it's very tough to do. It's very tough to get grant funding. People still remember Tim Leary at Harvard in the early '60s. There's still a stigma attached to it. We joke about it, but it could still be a very, very useful experimental tool. As far as my background goes, I was a double major at Columbia in Neuroscience and English, and I always thought of myself as a scientist. I always thought I wanted to be a scientist. This was my narrative since I was eight years old, when I read E.O. Wilson and Richard Dawkins and didn't understand a word of what they were saying, I still fell in love with their approach to the world, the way the looked at nature, and saw it as a puzzle to be decoded. I always thought of myself as a scientist, and then I had the privilege of working for several years in the lab of Eric Kandel as a technician, doing the manual labor of science, and what I discovered there was that I was a terrible scientist. As much as I loved the ideas, I excelled at experimental failure, I found new ways to make experiments not work. I would mess up PCRs, add the wrong buffers, northerns, westerns, southerns. I would make them not work in quite ingenious ways, and I realized slowly, over the course of those years, that the secret to being a great scientist is to love the manual labor of it. What you're doing as a scientist is doing experiments. Ninety-nine percent of what you do as a neuroscientist is the act of experimentation, and also, thinking with a disciplined thought process, taking very big grandiose ambitious questions — "What is memory?" — and breaking them down into testable questions you can study in a sea slug or in a genetically modified mouse. I realized I didn't have that talent, which is such an important talent, to take a very big question and break it down into these empirical units. So I began thinking about science writing. I love scientists. I love hanging out with scientists. I always think of the W.H. Auden line about when he's in a room full of scientists, he feels like a shabby curate in a room of dukes. That's how I feel. They're the most fun people to hang out with. Even on days when I wasn't working in the lab, when I was still an undergrad I would love to go do my homework in the coffee room just to eavesdrop on these conversations I could barely understand, because there were so many acronyms I couldn't follow. CREB1, CREB2, CPEB. Who knows what they're talking about, but it had the feel of, here are people solving reality one little acronym at a time. But I realized that I didn't have the talent, didn't have the skills, the discipline to be a scientist myself. I first began thinking about science writing, and then I was lucky enough to get a scholarship to Oxford where I studied twentieth century literature for one year and then the history of science in the Theology department for my second degree. It was a great experience to broaden my mind, and that's when I began thinking about science writing and began working on my first book. I kind of fell into this. My first goal is simply to translate the science. When there's an amazing new paper that just came out in "Proceedings" and Nature and Science, I want to talk to the scientist, get a sense for how they came up with these answers. These aren't the final answers. This is our provisional draft of reality. Simply translating the act of the scientist is the first job of any science writer. Then, in my more grandiose moments, the other big job of a science writer is to see connections, s to see the forest composed by all these trees. The act of being a scientist, by definition, the act of being a modern scientist requires you to really focus. You have to drill down. You have to spend years studying one brick, one synaptic protein, one kind of thing that turns on the amygdala, one very particular question. One of the great privileges of being a science writer is you get to zoom out a bit and see connections that maybe the scientist themselves aren't aware of. You get to hopscotch between these different levels of description; you can talk to a psychologist and try to figure out how their paradigm for studying human behavior actually relates back down to dopamine neurons, to human nature at its most minute. That's the real privilege of being a science writer, and that's part of the reason I love writing about neuroscience, because I feel like there's so much to connect. We still have no idea how it fits together. We're just at this point where we know enough to know how little we know. That makes it very exciting to be a journalist. There are a number of people I've been thinking about in this regard, three of which immediately come to mind: Walter Mischel, Eric Kandel, and Geoffrey West. Walter Mischel at Columbia University is probably best known for the marshmallow task. It's a very simple experiment he did at the Bing Nursery School at Stanford University between 1968 and 1972, where you bring a four-year-old into the experimental room, and he'd say, "Kid, you can have one marshmallow right now, or if you can wait for about 15 minutes while I run an errand, you can have a second marshmallow." And he offered the kids marshmallows or cookies, pretzel sticks, and what he found was that there's tremendous variation in terms of how long kids can wait; every kid wants the second marshmallow or the second cookie, but some kids will eat the marshmallows before the scientist leaves the room. Some kids will wait two minutes. The average waiting time is about two and a half minutes, and some kids can wait the full 15 minutes. The question is, what allowed some kids to wait? And it wasn't that these kids wanted the marshmallow any less or that these kids had more willpower. It's that these kids knew how to distract themselves. These are the kids who would cover their eyes, turn their back, sing songs from Sesame Street, pretend to fall asleep. My favorite kid is a boy with neatly parted hair, and he chose the Oreo cookies, and you can watch him. He's just really struggling with it. It's an agonizing, agonizing wait, and he carefully surreptitiously looks around to make sure no one's watching him. There's a large one-way mirror right to his left that he conveniently ignores. He picks up the Oreo cookie, carefully unspools it, licks off the white cream filling, puts it back together, puts it on the table, and then he could wait 15 minutes, no problem. Mischel notes that the kids who can wait what they’re better at is the strategic allocation of attention. They know that my willpower's weak and if I'm thinking about this yummy, delicious marshmallow, I'm going to eat it. What I have to do is not think about it; I need to distract myself. Then you do this longitudinal study, and you find that the kids who could wait at the age of four — and this is the most predictive test you can give a four-year-old, much more predictive than an IQ test — it predicts their behavior in school, how likely they'll do drugs, their body mass index. The SAT score of a kid who can wait is 210 points higher than the SAT score of a kid who can't wait. It's an incredibly predictive test. Here's this very simple experiment, this very simple protocol you give to four-year-olds, and it turns out to explain a lot about their behavior as teenagers, adolescents. Mischel and his collaborators are now flying 55 of these kids out to Palo Alto — they're now in their 40s — to put them in brain scans, and to see the different brain areas that underlie this ability to exert willpower, but the larger lesson is that what we think about willpower is actually completely wrong. People think about willpower as gritting your teeth, but willpower actually is profoundly weak; no one can really resist a marshmallow if you're thinking about how sweet the marshmallow is. What these people are better at is — and this is how the scientists describe it — is the ability to control their thoughts, to control the contents of working memory. Some people are much better at that, and that's a crucial life skill that allows you to — my favorite television show's on, but I need to study for the SAT, I need to do homework. How can I resist this temptation? It allows you to control your temper, to not lose your temper when someone calls you a name. It really is a very, very important life skill, and that's what Mischel was able to measure at the age of four. I've been thinking a lot about that, and now Mischel 's trying to go back into the schools to see if he can teach this to kids. Once kids leave kindergarden, we stop thinking about them in terms of character, in terms of these personality traits, but it turns out these are crucial things, and schools shouldn't just be in the business of teaching algebra, of teaching literacy, teaching spelling. They have to be in the business of teaching kids how to think, teaching them these metacognitive rules. Teach kids how to structure their thoughts, how to do a better job of controlling their mind, and that's going to have a huge payoff in terms of academic skills later on. I've been thinking a lot about that. Mischel's just a magnificent and very meticulous scientist. I was so lucky to have Eric Kandel as a mentor. Even to call him a mentor is a very presumptuous thing, but just working in his lab was such a defining and pivotal experience. Here is this brilliant, brilliant man. The smartest man I've ever met, who defined more than anyone else the theory behind modern neuroscience, which is that you can take this very, very complex mental process — what is memory? — and you can study it by basically annoying a sea slug, by impressing a sea slug, by poking a sea slug, waiting for the sea slug to habituate, to adapt, and that sea slug will use the same ingredients, the same kinase enzymes, the same whatever, to remember the memory as a human. That was such a fundamental insight. It's easy to forget what a profound shift in thinking that was and how controversial it was at the time. He's since branched out in so many interesting ways and looked at memory in so many from so many other angles. In other words, he hasn’t just defined the way we ask these questions, but he’s also come up with a staggering number of good answers. But just working in his lab, more than anything else, allowed me to fall in love with the scientific process, with the scientists themselves. I used to love going to lab meeting and I loved how contentious it was and how people would ask each other questions. This is where the ideas happen. It's not a man sitting by himself. It's not Newton under the apple tree. It's scientists talking to themselves, asking each other the hard questions, coming up with alternate explanations. That's when the breakthroughs happen. Also, of course, Eric is this incredible intellectual. He's so cultured. He can talk about the molecules behind memory with the same eloquence he talks about Egon Schiele and Klimt and Freud. I was in the lab and talking to him just when he was starting to go back and visit Austria again and visit Vienna and rediscover his relationship to Vienna. That was fascinating, watching him grapple with and struggle with his past, because there's a lot of forgiveness involved. But it was such a privilege, such a lucky privilege, to be able to watch him think. What fascinates me about Geoffrey West's work is not just the sheer ambition of it, trying to come up with metabolic equations of life. He is the Director of the Sante Fe Institute. He's a theoretical physicist and one of the questions he's working on is, can you come up with a set of equations that define the metabolic processes of life from the rat to the elephant, and can you come up with a set of equations that describe how animals process energy, and how their cells work varies with the sheer size of the animal? This would be a kind of universal equation of life, a very grandiose idea, and it's a very controversial idea, and it's hard to know why it would exist. There are, of course, outliers on this neat, sloping line, but it's still a very elegant idea, and one of those hypotheses where even if it's wrong it will still teach us so much. I'm drawn to West now because he's done some really interesting work trying to apply these same laws to cities. As we talked about earlier, one of the big challenges going forward is how can we ask deep and interesting questions about humans in groups, social networks, cities.. How has the invention of the city changed human nature? West has come up with really elegant ways to start to measure using algorithms, using these mathematical tools and the skill set he has to measure how the kind of city we live in affects how we think. For instance, whether or not the city fosters random interaction, If you bump into a stranger on the subway, that turns out to have all sorts of big consequences. It's like Jane Jacobs, who talked about the serendipity of the sidewalk and bumping into people. Geoffrey West has shown that cities that foster those kinds of random interactions score higher in measures of innovation. Like the number of patents they produce. Cities that don't, cities like Phoenix and Las Vegas, score much lower on these innovation scales. Obviously, there's no causation here, just some elegant correlation. but you can begin to see these really elegant connections between urban theory and Jane Jacobs, between who you bump into on the sidewalk and how that actually may foster creativity for reasons we can't yet begin to explain. It's this whole different way to look at human nature, to study these groups, and it's a really interesting approach. Part of why there isn't more writing about science in the major publications is that people simply aren't used to asking these questions through that prism. It's not just in journalism. It's in the academy more than anywhere else that there are separate domains, and that if you're asking questions about art, then you shouldn't be asking questions about neuroscience. Obviously you can take that too far and you don't want to say Rothko is nothing but oscillations in your visual cortex, because that leaves out what makes Rothko Rothko, but it's still so fun to try to merge these disciplines, to try to take a novel and say, "Why does this work? Why am I finding this imaginative narrative so gripping?" By trying to figure out why certain works of art endure – why Hamlet titillates the human brain - you can often learning something quite interesting about the art and the brain. In terms of journalism and the challenge of accurately representing science, the thing I struggle with is capturing the process. Too often there is this tendency to say, what makes this science story interesting? What's the payoff? Is there a new drug in the pipeline? Have they published a big new paper in Nature that's going to solve where human language comes from? We’re so focus on the result, on the conclusion, on the abstract of the paper and the last paragraph in the paper, but really what a science paper is is the methods section, it’s the process. And that is incredibly hard to actually translate to the public, partly because it can be pretty tedious but to get inside how a scientist thinks, to show that what makes science such a valuable, essential and crucial modern institution, is that there is this process. Someone had to struggle for years, someone had to sift through, parse through ambiguous data and come up with a good tentative answer, and that's incredibly difficult to translate to the public. It's not simply that we need more science coverage. Really what we need absolutely more of, starting now, is to give people a better sense of the scientific process. A lot of the scientific illiteracy I see out there and the scientific misunderstanding of the American public, and the reason many people find it so easy to brush aside science or to simply believe that science is unweaving the rainbow, is because they don't understand the scientific process and the struggle and what a beautiful romantic process it often is. What we need more of, and this is a challenge to the writer, is to convey to people the excitement and the drama of a man or woman trying to take these big, big questions and come up with a new answer. It’s a noble pursuit.